The slow methodical form of exercise known as tai chi could be a good way to treat COPD. This according to a study that shows the ancient martial art is equivalent to traditional pulmonary rehabilitation treatment. The study, published in the journal CHEST®, examined tai chi as a lower cost method of treatment. Right now, pulmonary rehabilitation (PR) is the standard treatment to improve quality of life for those who have the chronic obstructive pulmonary disease (COPD). The problem is that PR requires trained staff and special facilities, so it can be rather expensive. Tai chi, which originated in China, involves stretching, breathing, as well as coordinated movement, but it doesn’t require any equipment and can be done just about anywhere. Since it involves significant physical exertion, some researchers felt it was an idea worth exploring in terms of improving respiratory function in patients with COPD. The study followed 120 COPD patients in China. 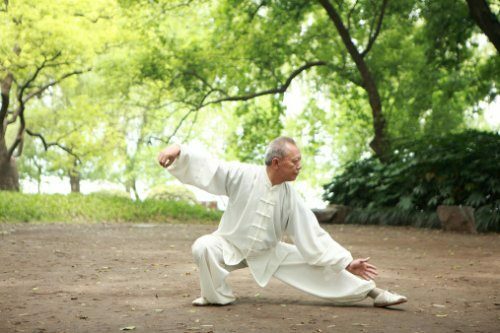 After taking a medication that treats airflow blockage, the patients were assigned to either traditional PR or tai chi. When they filled out questionnaires shortly afterward, including scores for airway obstruction, researchers discovered both groups reported similar improvements. However, after twelve weeks, there was a big difference in the two groups. In fact, tai chi scores were better. Similar results occurred when they conducted a six-minute walk test. If you’ve ever known someone who suffers from COPD or if you yourself suffer, then you’re likely aware of how reducing COPD symptoms can significantly improve quality of life. Doctor Polkey is encouraging PR providers to consider offering tai chi programs as an alternative therapy to those who are suffering from COPD. 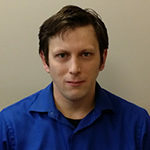 He has pointed out that once patients have learned the easy yet effective movements, it’s a form of exercise they can do unsupervised in their own home or backyard. According to the National Heart, Blood, and Lung Institute, COPD is a leading cause of death in the United States, impacting about 16 million Americans and possibly millions more who don’t yet know that they have it.